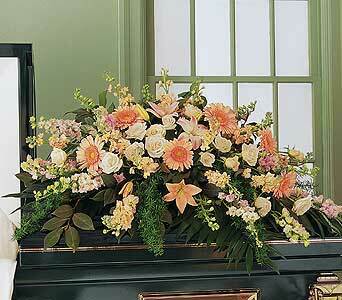 Remember your loved one with this beautiful array of Mixed Floral decorated with flowers in season. Special colors and types of flowers are happily accommodated per request. The Half Casket piece cradles the top of the casket. We also have a full casket option - Please call for more information.